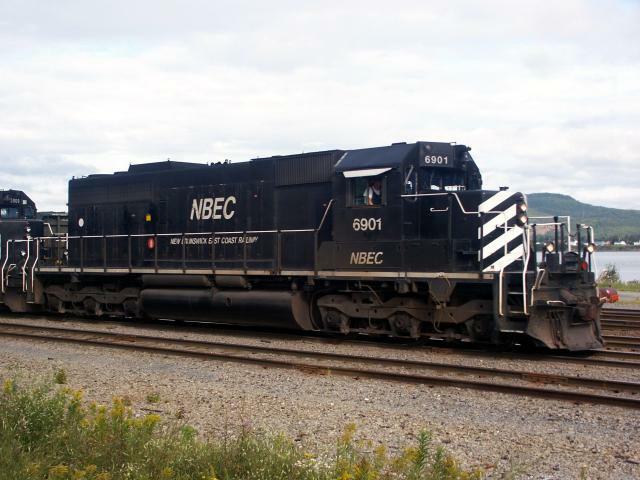 NBEC 6901 was an SD40, formerly CN 5040 (class GF-30d). 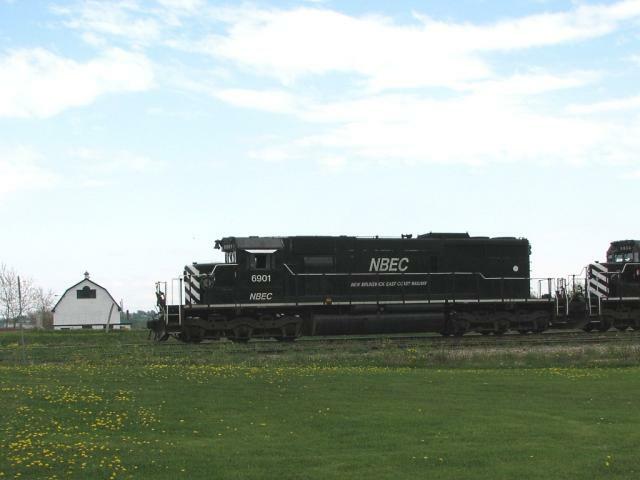 It was built in 1968, retired from CN on April 24, 1998, and rebuilt by Alstom by the spring of 1999 for NBEC. It was sent to Alstom for repairs in 1999 and returned in late 1999. 6901 was the trailing engine (with CFMG 6908) involved in a derailment November 6, 2001 just east of Campbellton, where a truck float was struck at a private crossing. It was sent to Moncton for repairs. 6901 leads train 403 through Beresford on September 13, 2007. 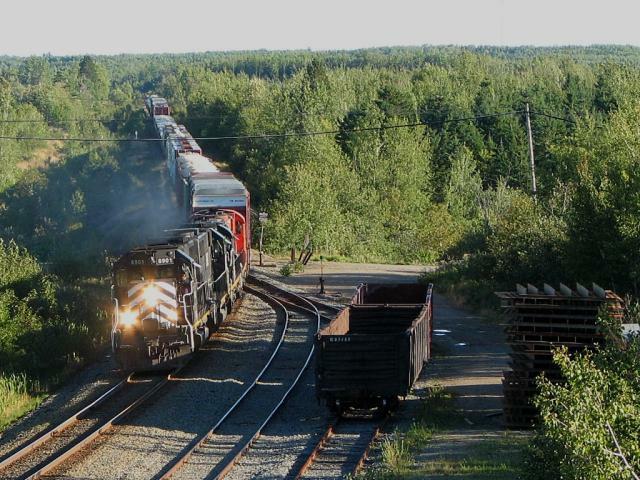 6901 in Campbellton on August 12, 2006. Photo by Paul Campbell. Used with permission. 6901 arriving at Bathurst on May 28, 2007.